These three areas have become key areas of our application for our clients and we believe our approach to these areas is unique. Probably the most successful of all has been in benchmarking where we have been able to win back to back Australian Business Awards for innovation. 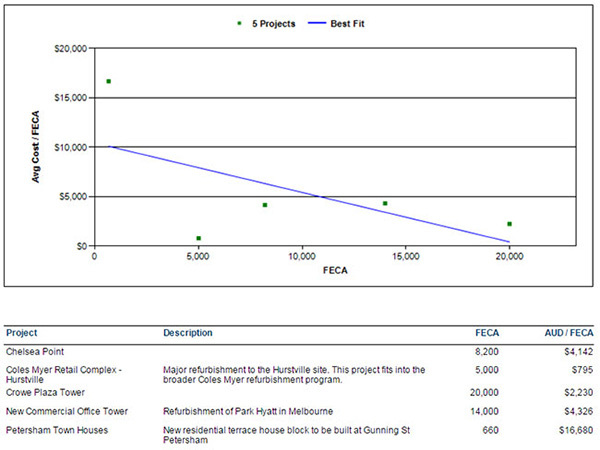 It is true that most of the work in this area has been for one of our fortune 500 clients (AECOM) and they won an excellent end product called Guide that provides their clients with benchmark data as well as the ability to price new projects within seconds using some key design parameters and the law of large numbers. However, we have recently been able to take some of the learning from this work and incorporate the ability to capture key metrics into our application that due to its portfolio nature, already had significant benchmarking capability. This will be the topic of my first blog entry to be published tomorrow.